Don’t you just love all the seasonal goodies that appear in the grocery store in the fall? 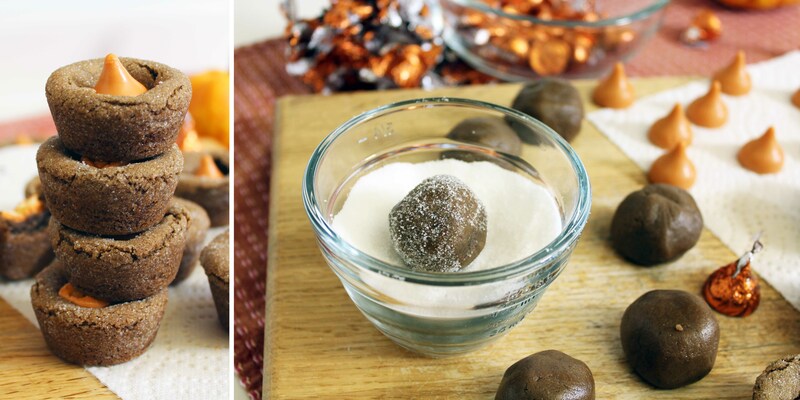 More specifically, don’t you love all the pumpkin goodies that appear in the grocery store?! I’m sorry that my second dessert post is another pumpkin one. Well… I’m not sorry. But I am sorry if you’re not a pumpkin fan. 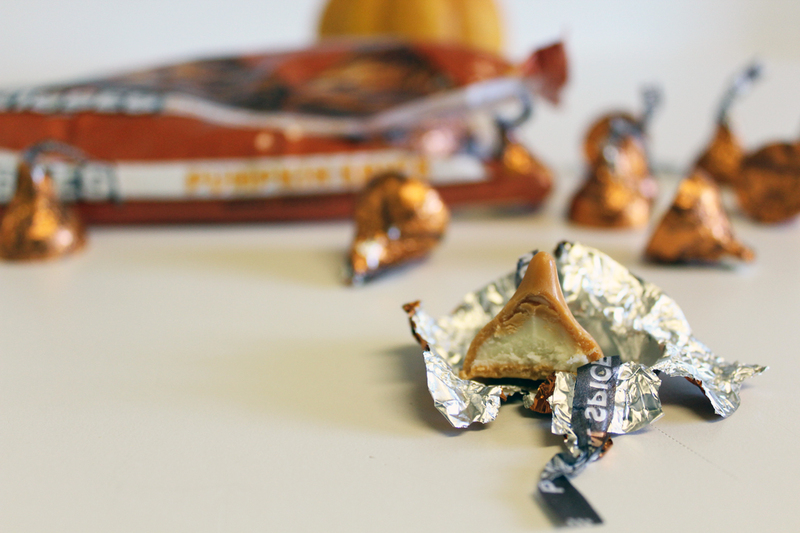 Get this though, you don’t have to use pumpkin spice Hershey Kisses– you can use any kind of Hershey Kiss! But I think the pumpkin spice ones are awesome. And they only come once a year. So I saw these while grocery shopping the other day, and they immediately went into my basket. 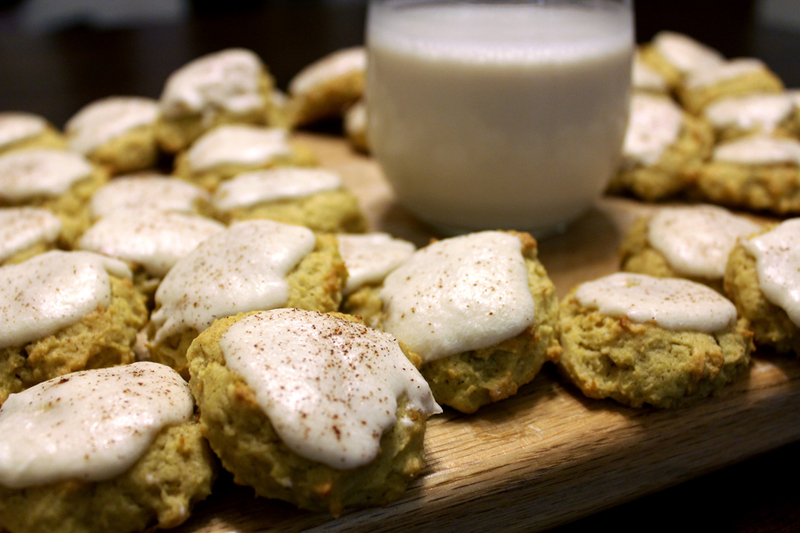 I didn’t know right away what to make with them, but thinking of a recipe for these little pumpkin gems wasn’t too difficult. Ours were a little different though. We made them in a mini muffin tin so that the chocolate gets submerged in the cookie and becomes melty and gooey. YUM. Not to mention cute! This entry was posted in Baked Goods, Cookies, Peanut Butter, Pumpkin, Sweets and tagged baking, chocolate, chocolate cookies, cookies, hershey kiss cookies, Homemade, hoomemade, kisses, peanut blossoms, peanut butter, peanut butter blossoms, pumpkin, pumpkin spice, pumpkin spice kisses, recipe on September 28, 2012 by milkandcerealblog. Personally, I broke out the pumpkin weeks ago. I knew it was still summer, but that didn’t stop me. Everybody else was breaking out the pumpkin already, so I did, too! Don’t judge. This time, though, I’m getting more extreme with my pumpkin obsession. Before this, I had NEVER made my own pumpkin puree. Never! Can you believe it? 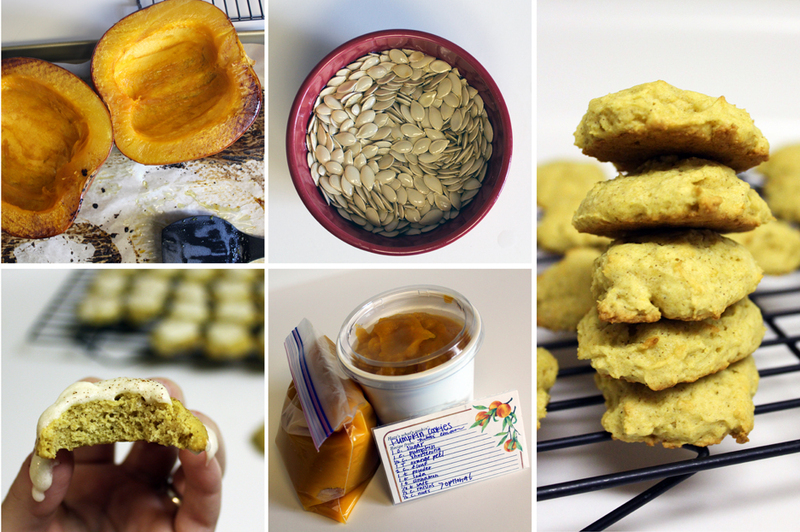 I feel like a fraud, calling myself a pumpkin lover for all these years without having ever made homemade pumpkin puree. And you know what? It’s not even difficult. Or time consuming. Or expensive. So why had I never done it before? You’ve got me. This entry was posted in Baked Goods, Cookies, Pumpkin, Sweets and tagged baking, cookies, dessert, fall, food, glaze, pumpkin, puree on September 23, 2012 by milkandcerealblog.